Numerous entities ranging from carmakers to tech companies have been working on autonomous or self-driving vehicles for years. Now reality may finally be settling in. In March, Ford announced it plans to invest $900 million in its southeast Michigan footprint, as part of a $11.1 billion investment in global electric vehicles. 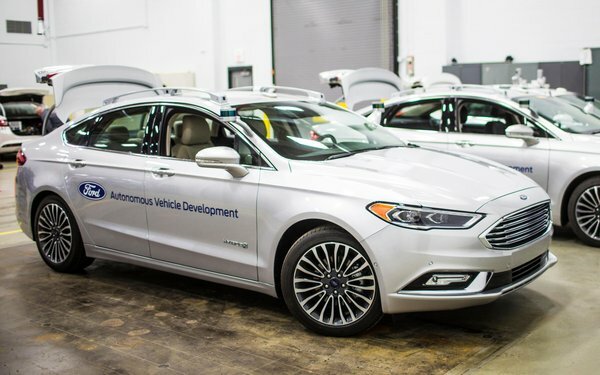 The expansion includes the first autonomous vehicles being produced starting in 2021. It appears that some of those vehicles will still be prepared, but they may not be seen outside of highly controlled and narrow applications because “the problem is so complex,” said Hackett. Ford is not the only company backing off a bit from an autonomous vehicle future. At CES earlier this year, Toyota seemed to modify, if not shift, its position on self-driving cars, with an emphasis now on creating technologies to help people drive better rather than having cars drive themselves, as I wrote about here at the time ("CES 2019: Toyota Shifts Focus To Assisting Drivers, Not Displacing Them"). In its IPO filing last week, Uber now doesn’t appear to have any high expectation for self-driving vehicles dominating roads any time soon. “We believe that there will be a long period of hybrid autonomy, in which autonomous vehicles will be deployed gradually against specific use cases while drivers continue to serve most consumer demand,” states the prospectus. The technology to have a car drive itself down the road is not the issue. Rather, it’s the context -- or everything else that is happening in the environment around the car as it moves along -- that can’t yet be factored. 6 comments about "Self-Driving Cars Meet Reality". Bob Gordon from The Auto Channel, April 15, 2019 at 5:54 p.m. The Lemming like car execs are leading their companies over the cliff along with the Ev Lemmings...and these guys get the big bucks WTF? R MARK REASBECK from www.USAonly.US , April 15, 2019 at 7:17 p.m.
Chuck, Have I not been right about this from the "git-go" ???? "The technology to have a car drive itself down the road is not the issue." YES it is Mr Hackett..................it's just not one of "Ford's Better ideas", it's a Dumb Idea. Chuck Martin from Chuck Martin replied, April 15, 2019 at 7:37 p.m. Yes, Mark, you were very early in that assessment. Douglas Ferguson from College of Charleston, April 16, 2019 at 8:26 a.m. I would settle for mandatory enhanced driver-assist, as long as it continues to develop safer interventions. For example, tracking lane-drifting could issue better warnings or interventions. Cars with drunk or texting drivers, equally dangerous and readily detectable by onboard computer monitoring, could activate the hazard lights to warn other drivers until the car begins behaving normally again. Chuck Martin from Chuck Martin replied, April 16, 2019 at 10:01 a.m.
Volvo plan to add tech that detects drunk driving and pulls the car over and parks it, Douglas, so you may be on to something here. Bob Gordon from The Auto Channel, April 16, 2019 at 10:12 a.m.